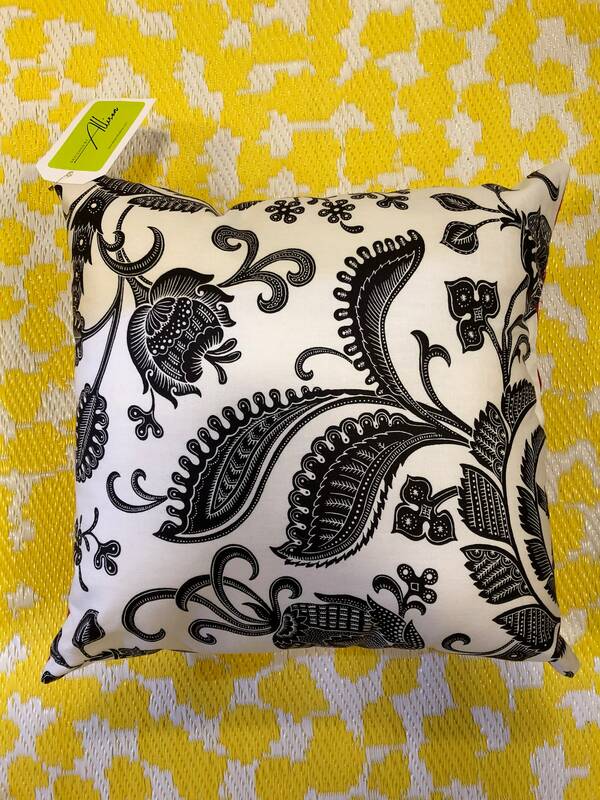 This beautiful 18 inch square pillow is a black paisley on a white background. 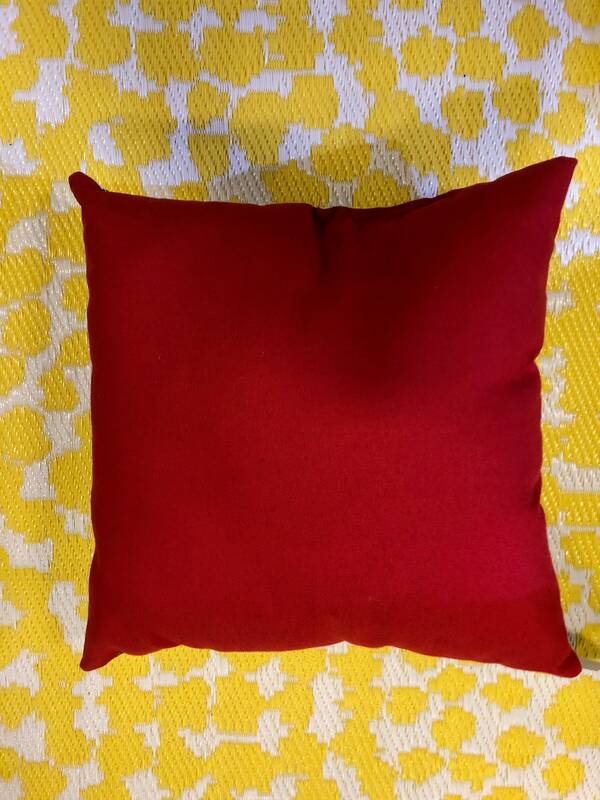 Each pillow front is slightly different based on how I cut the fabric. The back is a red cotton blend. Filled with poly- fill so it is hypoallergenic. This would make a fantastic addition to a bedroom, living room, entryway, or office.